Australian Foreign Affairs Minister Marise Payne, is in PNG to hold talks with government ministers on Australia’s economic partnership with Papua New Guinea. During the two-day visit, Payne is expected to officially open Papua New Guinea’s new satellite internet system. Payne said the system was a critical investment by Australia which would increase capacity by approximately 30 per cent. 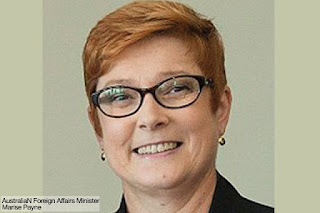 “Together with the new Coral Sea Cable, Australia is supporting the digital transformation of PNG’s economy,” she said in a statement. “Our bilateral relationship is broad and deep, with strong people-to-people links built on shared history and values. Payne is also expected to open the refurbished National Museum and Art Gallery, a centre of PNG’s cultural identity and knowledge, and visit the flagship Pacific Leadership and Governance Precinct.